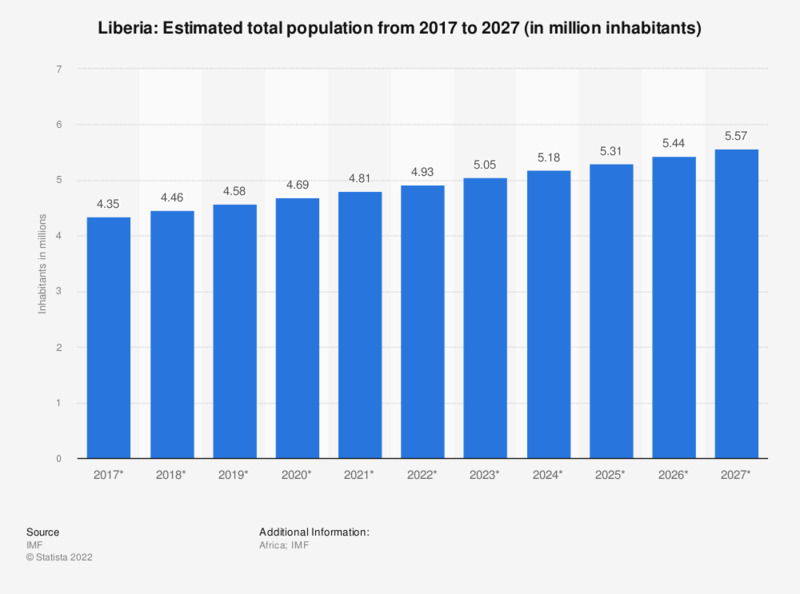 This statistic shows the total population of Liberia from 2012 to 2022. All figures are estimates. In 2017, the total population of Liberia was estimated at approximately 4.73 million inhabitants.